With an assist from food TV–including a new show on Travel Channel called Feed the Beast, which I’ll be previewing before it premieres on Wednesday; and then an hour of Food Network’s Diners, Drive Ins & Dives yesterday, and after my wife (i.e. Jenny) and I both had this sluggish, head-achy thing going on, we decided we needed to eat something fatty and greasy. We were not hung over, but that’s what it felt like, and we needed a Sunday morning hangover remedy on Sunday evening. 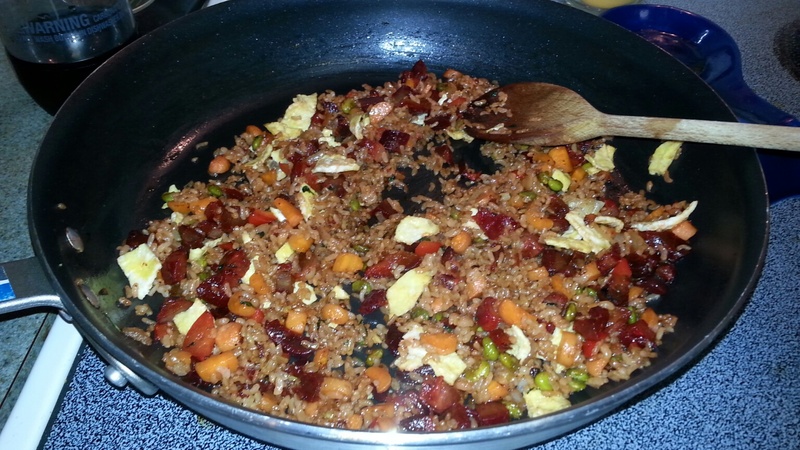 Those shows made me crave eggs and fat and salt, and when I saw we had chorizo in the fridge, I knew what had to be done–we had to make Mexican breakfast for dinner. Jenny agreed and put that on her chalkboard. First, the potatoes, which were nice and crispy. Then a dollop of refried beans and the chorizo. 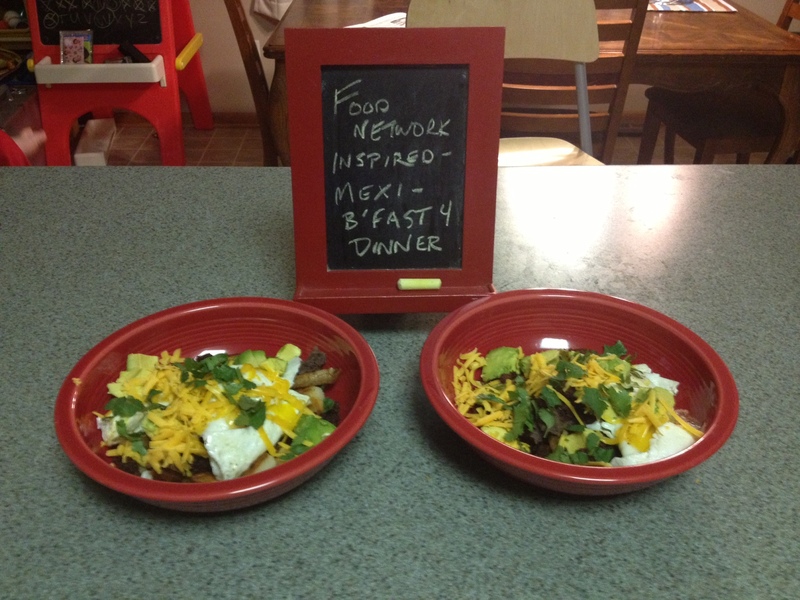 We topped that with two eggs in each bowl, followed by the avocado chunks, cheese and cilantro. Oh, and some Mexican hot sauce for good measure. Suffice to say we both felt so much better after eating this dinner. It was one of those food nirvana moments when you feed your body what it’s craving, and then some. And hey, now I know what to make next time we are hung over….and we hope you try it too. Sometimes you just gotta eat a pile of bacon. I didn’t know what I wanted for breakfast this morning, and pulled out some bacon. I took four thick slices out and cut them in half, and put them on the bacon tray. So that meant 8 short slices of delicious bacon. Now what? 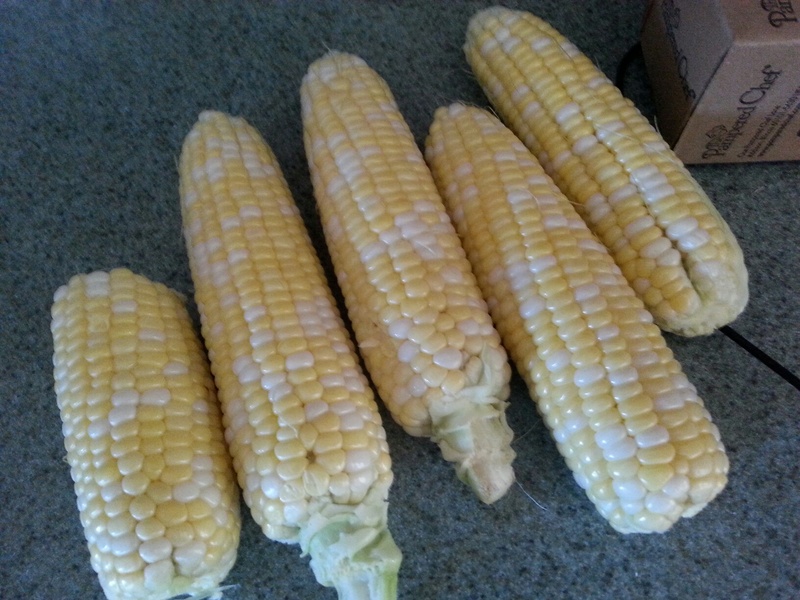 I spotted some hot dog rolls, and then it came to me–a little sub of sorts…..a torpedo. Of course, sometimes you have to accent the bacon with a scrambled egg, and you have to then accent that with cheese. So I stacked the bacon on the bun, put the egg on top and the cheese on top of that, and closed it up. 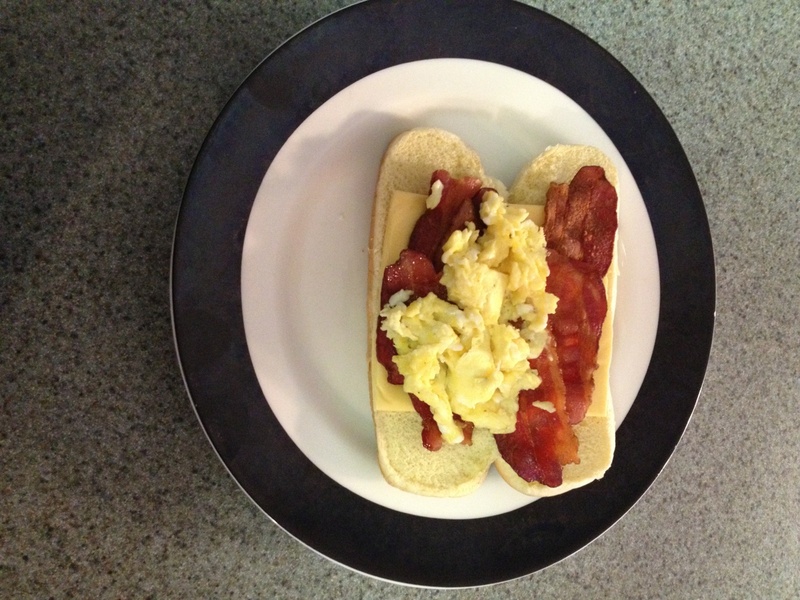 Bam–the bacon and egg torpedo. If I would have thought about it, and if I wasn’t so hungry that I didn’t have time to look for them, I would have thinly sliced up some jalapeno too for some good, clean heat. But hey, it was still pretty good. I’ve talked probably more than I’d care to admit that I’m trying to lose a few pounds. Aren’t we all this time of year? Anyway, and maybe fortunately or unfortunately, I find loopholes in Weight Watchers’ point system. Maybe they are not loopholes, but they are ideas of healthy deliciousness. 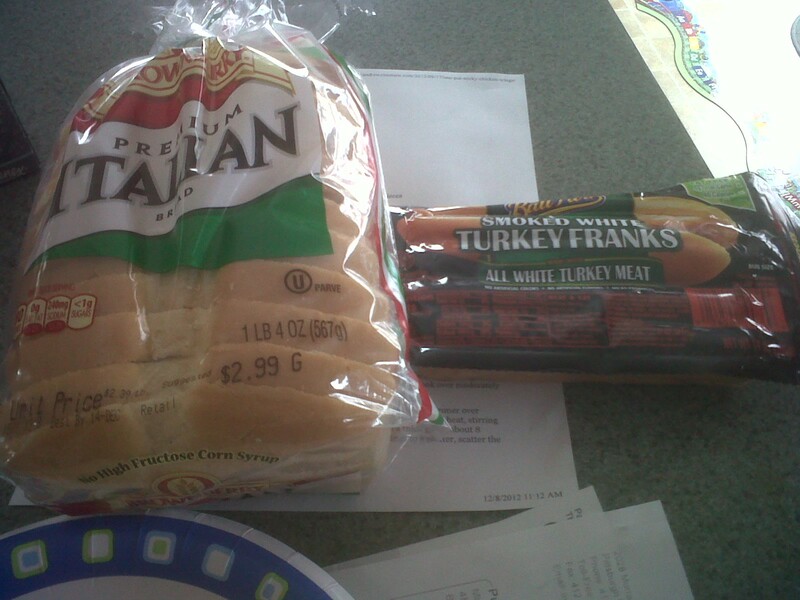 In the case of one of my favorite foods, the hot dog, I made this kickass lunch the other day–two fat free white meat turkey franks (thank you Ballpark) on Brownberry white Italian bread, and made two kinds. 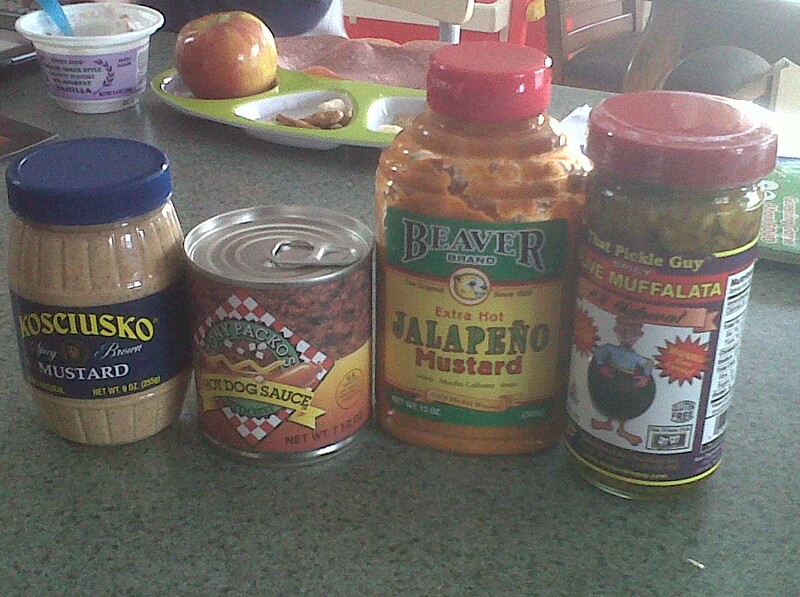 One had a Kosciusko spicy brown mustard and a small amount of Tony Packo’s Hot Dog Sauce (this stuff is remarkable and by that I mean tasty as hell); and the other had a (literally) kickass Beaver Brand jalapeno mustard and some spicy That Pickle Guy muffalatta style olive salad. First of all, these hot dogs are fantastic. 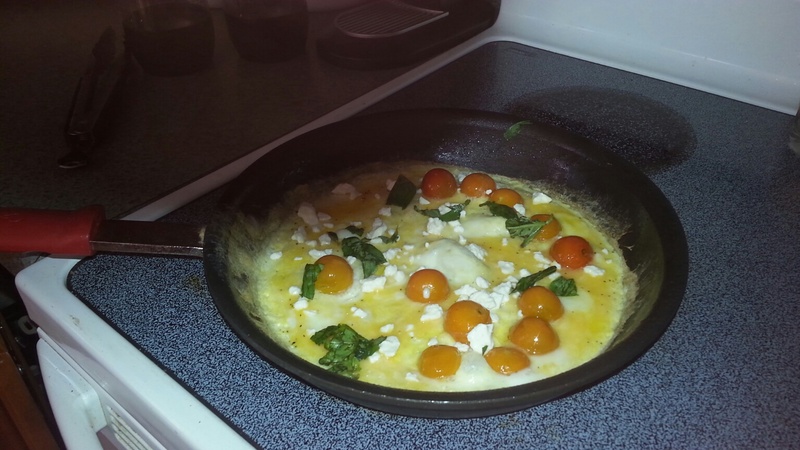 They do not taste fat free in the least, they are delicious, and they are mild enough to let the other toppings shine. And since I’m eating these dogs like two or three times a week, I’ve become more interested in trying different mustards. Which makes it convenient that we have the National Mustard Museum here in Madison. And hey, it’s almost lunch time and this post is making me hungry. And I think I know what I want for lunch!